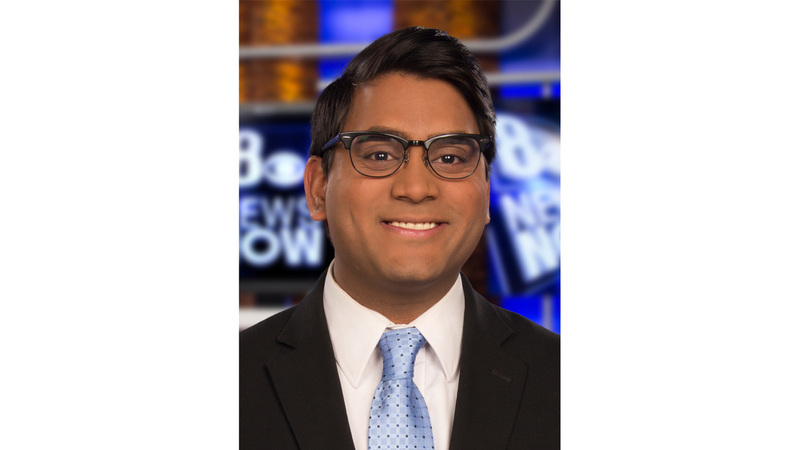 Orko Manna joined the 8 News Now team in April 2018. Orko grew up in the northern suburbs of Chicago. He graduated in 2016 from the Medill School of Journalism at Northwestern University, where he majored in Broadcast Journalism and Legal Studies. While at Northwestern, Orko won several regional and national awards through his involvement and eventual leadership as news director for the Emmy Award-winning Northwestern News Network. Orko began his professional career working for the ABC affiliate station in Des Moines, Iowa, where he covered a wide variety of memorable stories. In September 2016, he spent three days covering the massive flooding in the northern part of the state. In December 2017, he covered the Nicole Finn murder trial, one of the most high-profile child abuse cases in Iowa history. That landed Orko a guest interview spot on HLN, CNN’s sister channel, to discuss the trial on national television. In April 2017, Orko stayed overnight at the Iowa State Capitol as lawmakers debated over medical marijuana expansion. That story won Orko 1st Place in Political Coverage from the Iowa Broadcast News Association. After most of his life in the Midwest, Orko is thrilled to call Las Vegas home. He is excited to learn more about the community, as well as scope out the best places to eat, hike and have fun in the Valley. If you have a story idea or would just like to say hello, you can email Orko at OManna@lasvegasnow.com.